Kickstarter Campaign: Des and Liz Make Books! I am teaming up with Salt Lake City writer Liz Gabbitas to bring you two delightful picture books featuring my illustrations. Thanks to 151 fabulous backers, this project will be coming to fruition soon! Look for it in the Summer of 2019. "Something in the Air" is a book about Lili and her first trip to the carnival. It has a strong female heroine and conveys a positive message about being comfortable doing your own thing instead of following the crowd. "Madame Ardat's Traveling Carnival" is about what happens behind the scenes on the same day. 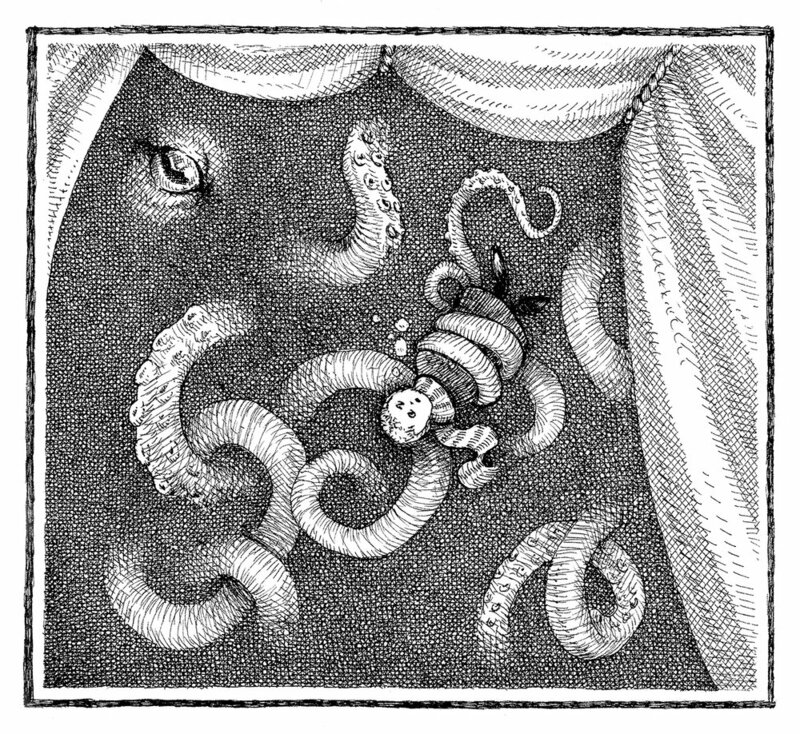 In a style reminiscent of Edward Gorey, the illustrations show how the carnival has been deceiving us all along and Lili again plays an important and surprising role.